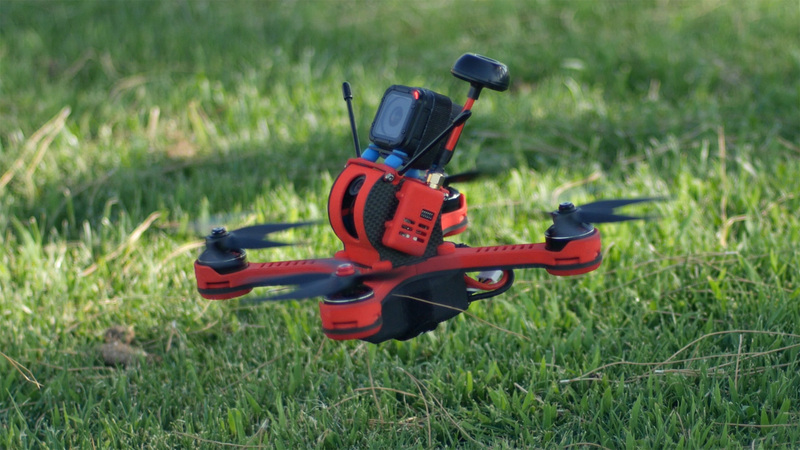 Tanky Drone - FPV Racing Drone Built to WIN! Lightning Fast and Ready to Race Out of the Box! Tanky has been ACQUIRED! Stay Tuned for Announcements! 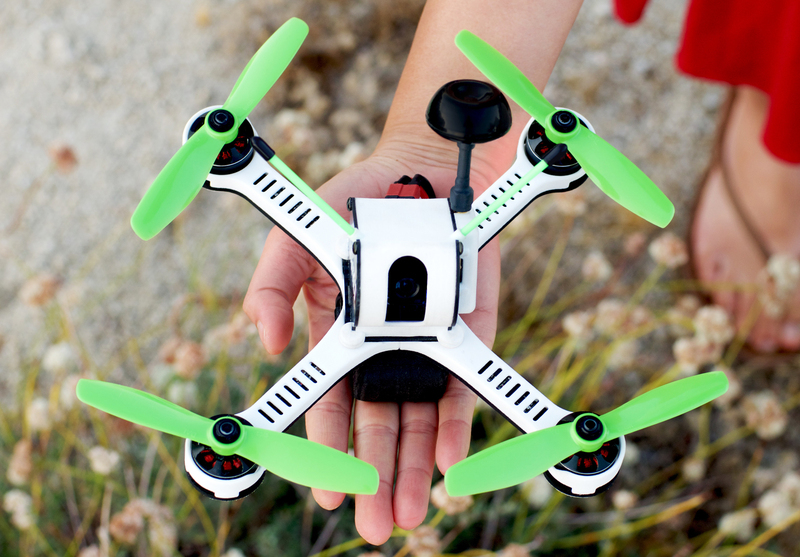 Other Drones Take Videos of the Exciting Moments in Your Life. Tanky IS THE Exciting Moment in Your Life! 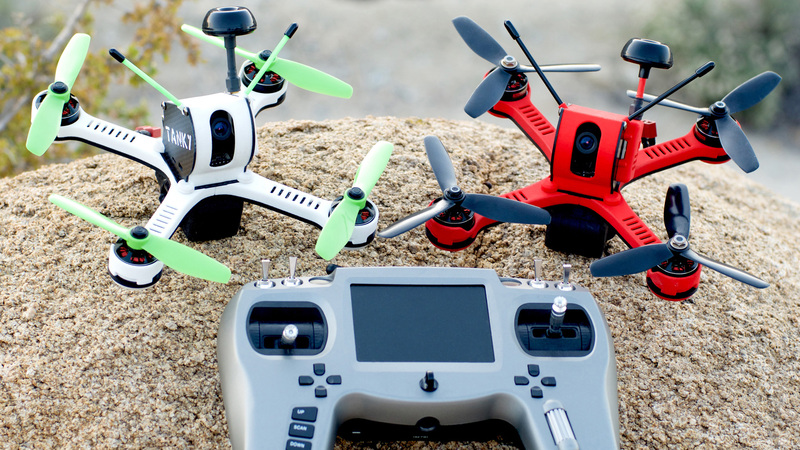 Photography drones, such as the DJI Phantom, are perfect for doing what they do—take smooth and steady videos—but you don’t get to fly them, they fly themselves. You merely get to suggest where they should go. 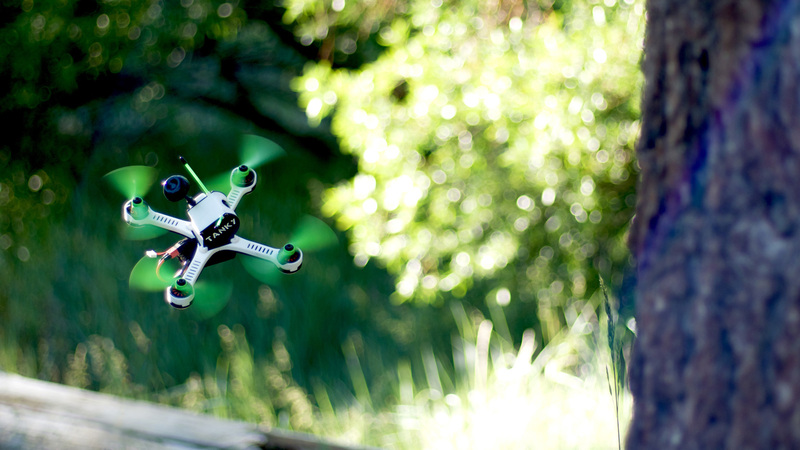 If you want to push a camera around through the air those drones are perfect. However, Tanky is different! We built Tanky to give YOU full control. Tanky does exactly what you want it to do, when you want it. It can go incredibly fast, flip, roll, and race through the trees. 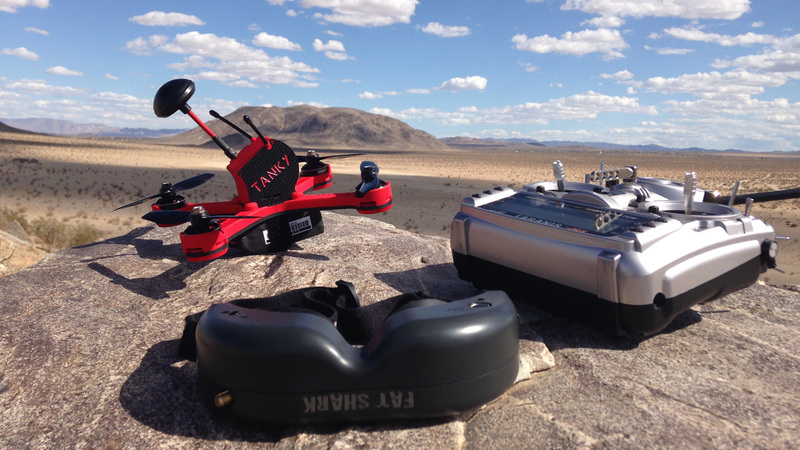 Tanky lets you truly experience flight, not just observe it. Think of it this way, it is the difference between driving a stick shift sports car or a cargo van. It’s not like one is better than the other, both are necessary, but you don’t buy a cargo van to have fun. Tanky was designed to be fun, pure fun through and through. 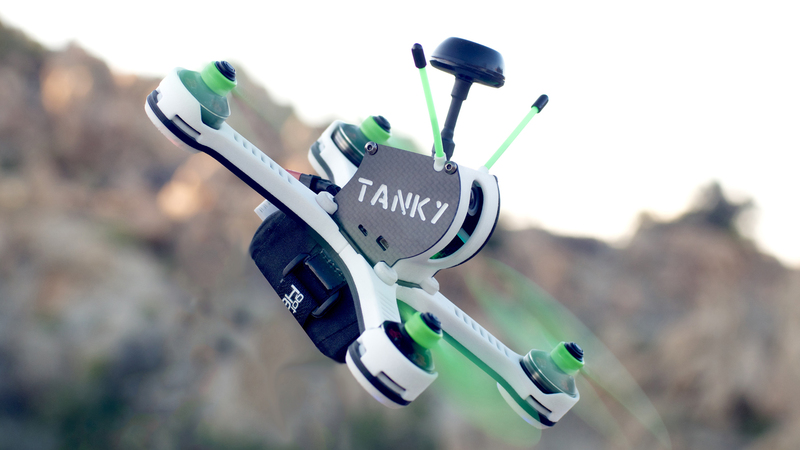 Whether you are a beginner or a more seasoned FPV pilot, Tanky was designed to grow with you. 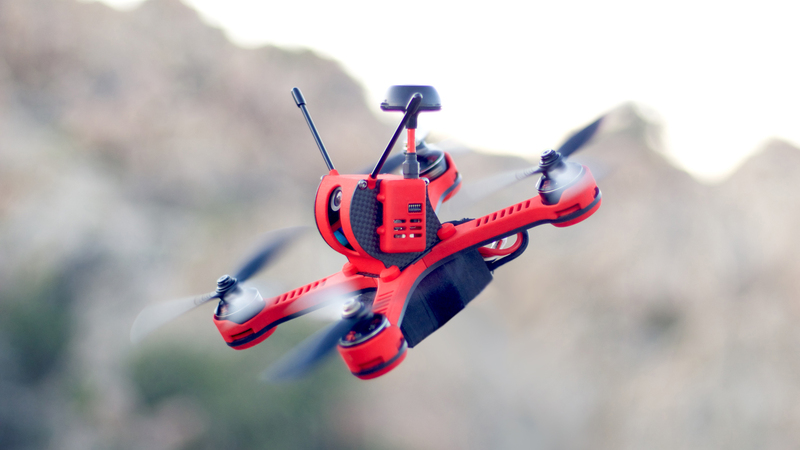 It's incredibly fast, fully upgradable, and yet easy to fly and simple to get started. 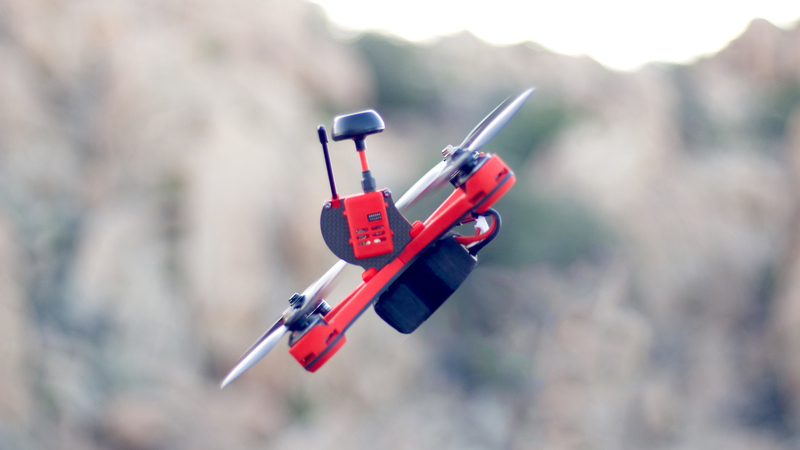 With a tiltable camera you have the option to control your speed by remotely adjusting the angle of the camera. As you get more and more comfortable, you can continue to increase the angle of the camera and go faster and faster. If something happens, for example, if you lose orientation, it's not a big deal. Just flip into the gyroscopically stabilized mode and tilt the camera down. 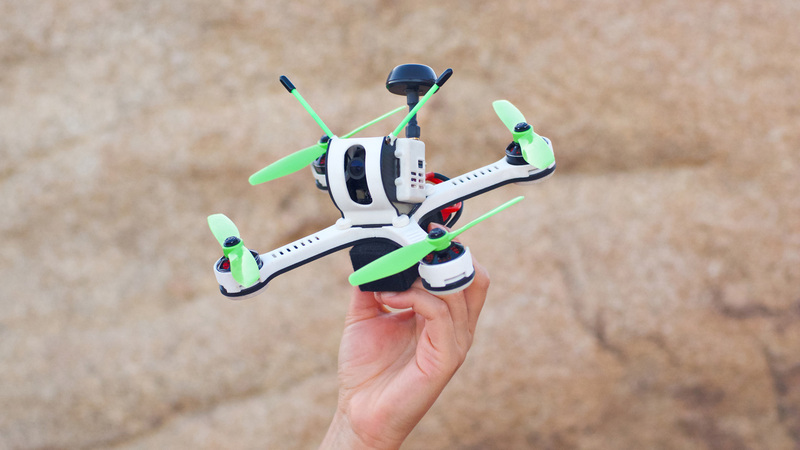 The drone will level itself out, and you can look around, figure out where you are, and lean in again for a fast pass. Tanky was designed with an X-Shaped frame. The more you lean it over, as you accelerate, the more aerodynamic it becomes. 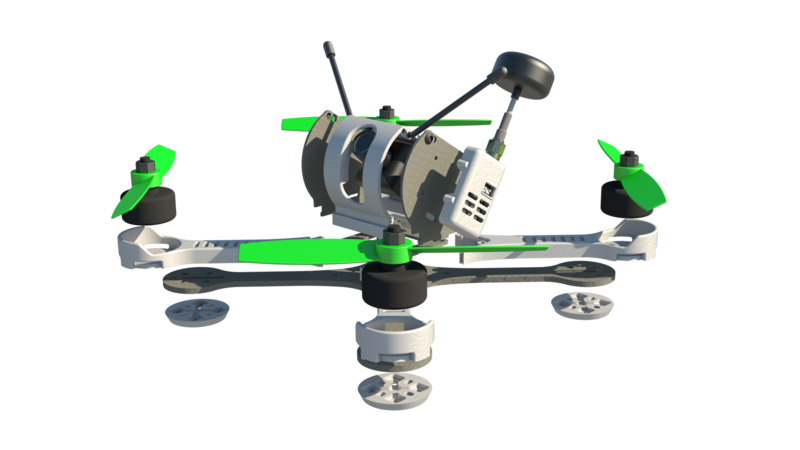 With Tanky leaned over by 45 degrees it actually provides a slight amount of lift, which means more of the motors' energy can be redirected to forward momentum. Tanky was also designed to have slim arms and an obstruction free thrust column. This means a lot more thrust is directed downward, to provide lift, instead of fighting and beating against the arms and fuselage of the drone. 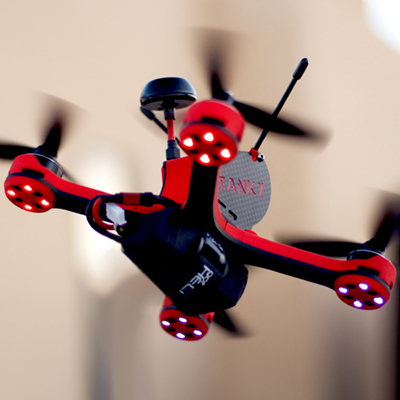 Tanky comes with 16 fully programmable LEDs, so you can really stand out in the crowd, fly line of sight at night, and instantly know if your drone is armed or if something is wrong. The LEDs can be programed to indicate arm status, flight mode, or even increase and decrease intensity with thrust levels. One additional VERY bright LED is located inside the head, and really lights up Tanky as soon as it's armed. Everything about Tanky is configurable directly from the on screen display (OSD). 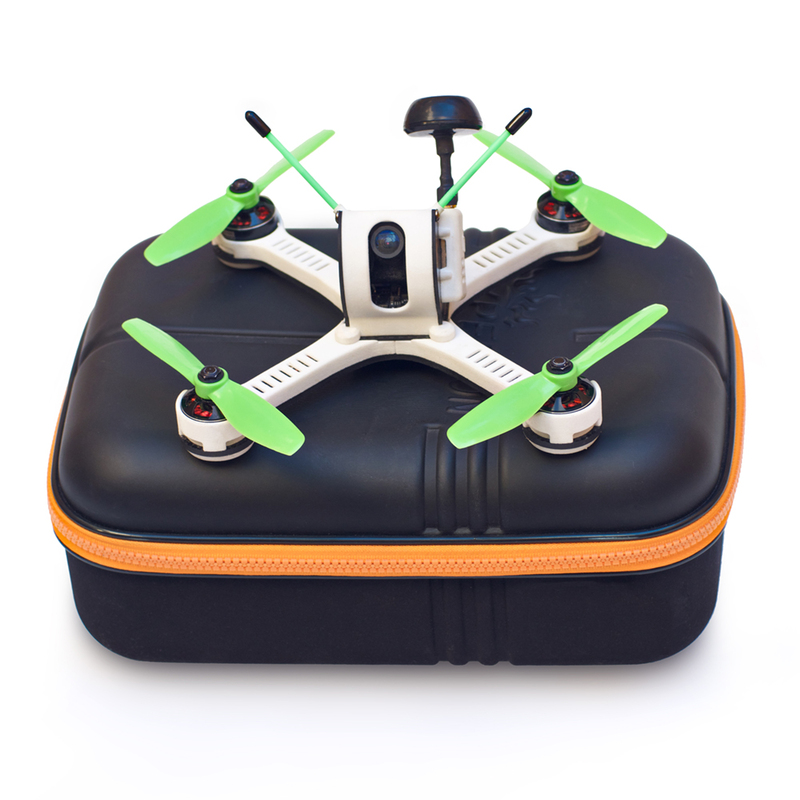 Gone are the days of needing to carry a computer or a tablet with you to tune your drone. 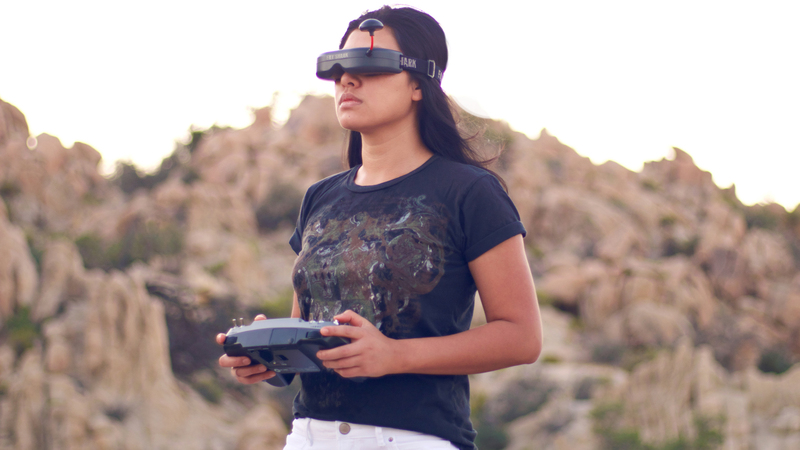 Just use your remote control sticks to navigate the OSD menu and change settings, modify PIDs, check on your flight times, or even change the power and frequency of the video transmitter. 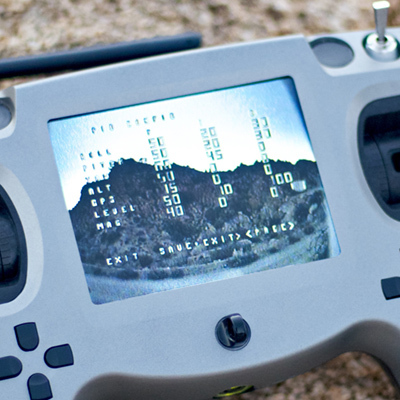 During flight the OSD shows all of your important parameters, such as battery and signal strength, directly on the FPV screen. Tanky's outer shell is made out of extremely tough thermoplastic, the same material commonly used in the automotive and aerospace industries to produce lightweight and extremely impact resistant parts. The material is similar to the material of the famous unbreakable DAL props. The parts might bend and scuff a bit, but will not break, even in a severe crash. To really make Tanky stand out from the crowd all of the shell parts are going to be available in several beautiful colors. 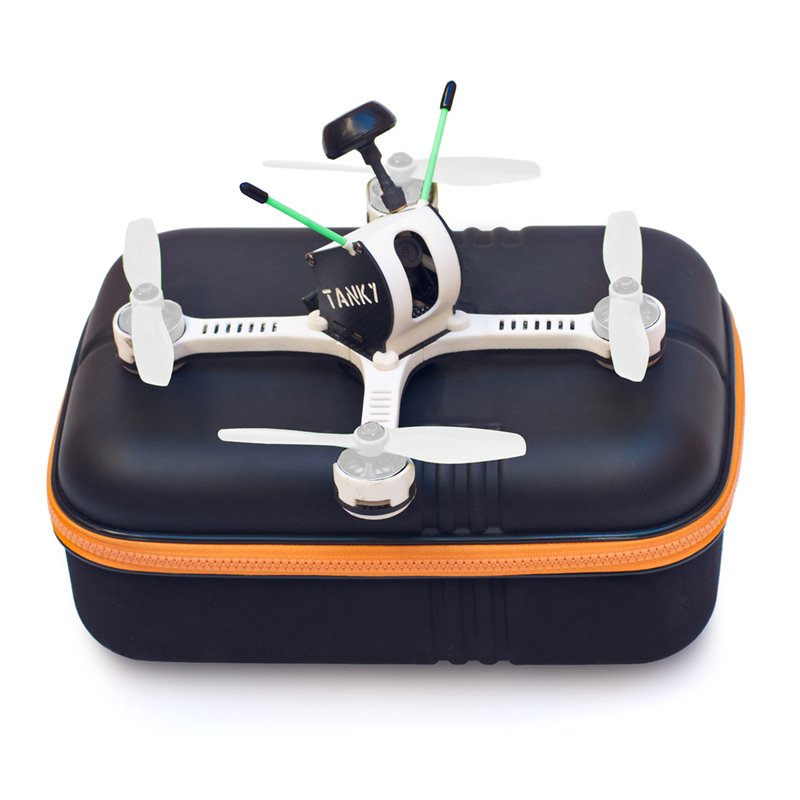 Complete kit with TBS Tango FPV remote, Tanky, and Carrying Case. 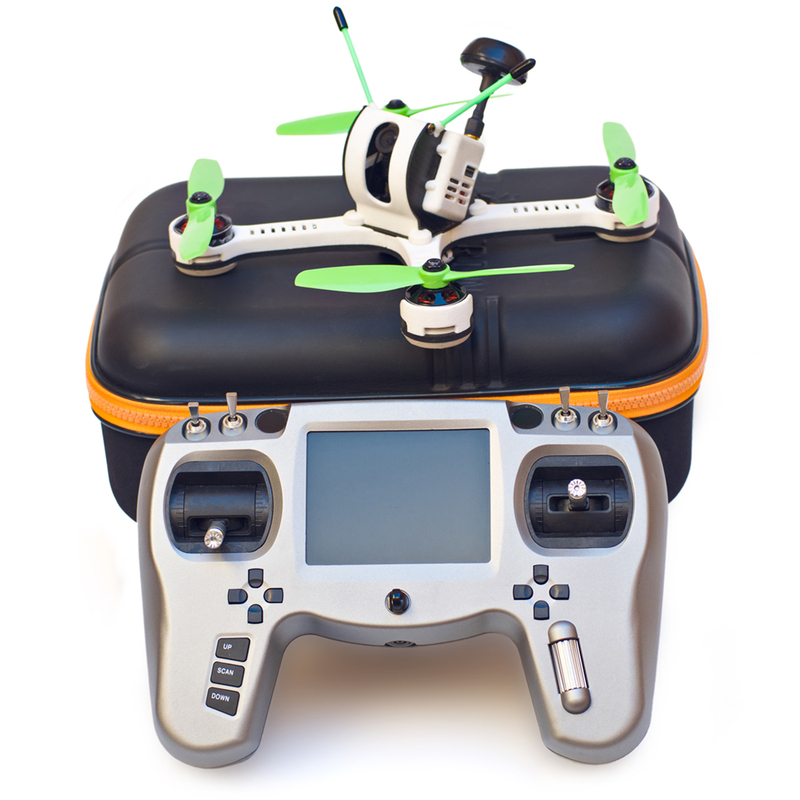 Ready-to-Fly Tanky with integrated FrSky receiver and Carrying Case. 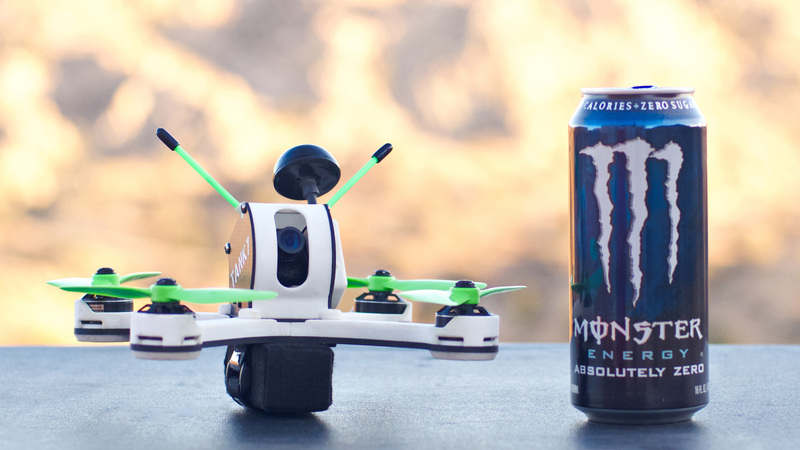 Bind-and-Fly Tanky with your choice of 2204 - 2305 motors and ESCs. DIY. Tanky design and IP has been acquired! The fate of Tanky has yet to be decided, but you can stay tuned by signing up below.